NCIA recently spoke with two key figures in the state of Michigan to get an update from the boots on the ground about the efforts to legalize cannabis for adults this year. 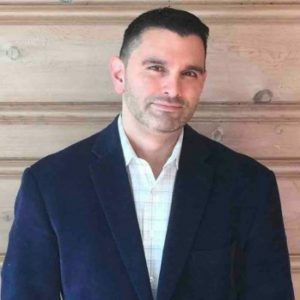 Mark Passerini is the founder of a medical dispensary based in Ann Arbor, Om of Medicine, and was also recently elected to serve on NCIA’s Board of Directors. Josh Hovey is the spokesperson for Michigan’s Coalition to Regulate Marijuana Like Alcohol. Mark, how will adult-use legalization in Michigan affect your business and your community? For the past eight years, we attempted to make all our decisions from the experience and perspective of a new patient that has never used cannabis previously. This translates to individual consultation rooms so patients may feel free to discuss their medical conditions, symptoms, and concerns in a private space rather than standing shoulder to shoulder at a retail counter. We believe that when legalization is passed there will be many adults that may want to try cannabis but won’t know where to start, may be afraid, or unsure of the options and our unique consultation process may help them as much as it has helped our medical patients make the best choices for their health and their life. When cannabis is legalized, we plan to continue serving as a resource and education hub with a focus on scientific research. What are the positive impacts of legalization in Michigan? Positive change starts with one individual who shares with another who in turn shares with another and so on. Our communities have garnered a better understanding of cannabis, its history, medicinal use, and are actively rejecting the failed policies surrounding its use. Locking people up for growing or consuming a plant is simply not the best use of critical and limited tax dollars. Many municipalities and states across the country have recognized this fact and passed decriminalization ordinances in order to use law enforcement resources on serious crimes. Communities and states that embraced legalization have also witnessed economic development through the creation of new jobs and much needed tax revenues. Our research with the University of Michigan showed a 64% decrease in opioid use amongst patient participants. Continued research into the medical efficacy of cannabis will benefit not only the existing patient base, but the community at large. By creating a whole new type of industry that operates in a responsible way and holds itself accountable to its community, everyone benefits. Josh, how have you achieved success so far in the Coalition’s Michigan campaign? True success will come when we pass legalization in November, but we’ve achieved some significant milestones. The first was creating a unified coalition of cannabis reform and social justice advocates to develop ballot language that borrows from the best practices used by the states that have legalized before us as well as Michigan’s medical marijuana licensing law. We also collected more than 360,000 signatures to place the issue on the November ballot. We’re proud of what we achieved so far, but the “vote yes” campaign has only just begun and there a lot more to do to make sure our initiative passes. What do the prospects look like for the initiative passing this November? Multiple opinion polls have shown that 60 percent of Michigan voters want to end cannabis prohibition and create a legalized and regulated system, so that’s a very strong starting position as we head into the campaign season. However, we know we can’t just rely on polls and we know the prohibitionists will continue to spread “Reefer Madness” era misinformation about the initiative. That’s why we’re working hard to raise every dollar we can to make sure we can get the facts to voters across the state. We want to make sure voters know Michigan is wasting millions of taxpayer dollars on the failed policy of prohibition and that creating a legal and well-regulated marijuana market can raise hundreds of millions for three of our state’s most underfunded areas: roads, schools, and local governments. Anything specific we should know about the program? Full details of the proposal are available on our website at www.RegulateMI.org. But in short, our initiative learns from the best practices from other states that have gone before us while also borrowing licensing language established under Michigan’s Medical Marijuana Facilities Licensing Act. That law was passed with bipartisan support in 2016 and the first medical marijuana businesses are just starting to be licensed under that program. We believe our very reasonable and well-thought out business regulations combined with sensible personal possession limits will make Michigan’s adult-use law the new model for the country. What is needed to ensure Michigan passes adult-use legalization? Make sure your friends and family are registered to vote and, of course, make sure they VOTE YES in November. Share the facts about the initiative and about the need for legalization on your personable social media pages. You can find the campaign has pages set up on Facebook, Twitter and Instagram. Don’t allow prohibitionist misinformation to spread. Correct your friends and family (politely) by giving them the facts on the issue. Donate to the campaign at RegulateMI.org/donate. We need to get our message out every way possible, including television, mail and social media. All of those things costs money and we can’t win without your support. The Michigan Coalition to Regulate Marijuana Like Alcohol will host a fundraiser on October 17, 2018 in Ann Arbor, MI. For more information, please contact Robin Schneider, Finance Director. The post Campaign Update From Michigan’s Coalition To Regulate Marijuana Like Alcohol appeared first on The National Cannabis Industry Association.